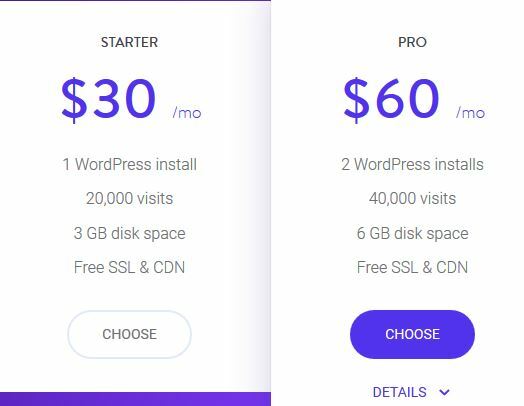 Kinsta Starter plan costs $30 per month and is designed for blogs that receive at most 20,000 visitors per month.In simple terms,it’s a plan for websites without many readers and new blogs. Majority of individuals who purchase this plan include companies that have little or no content on their website, or blogs that have just been launched. Managed WordPress hosting services—the company will manage everything for you such that your work will be to create content.